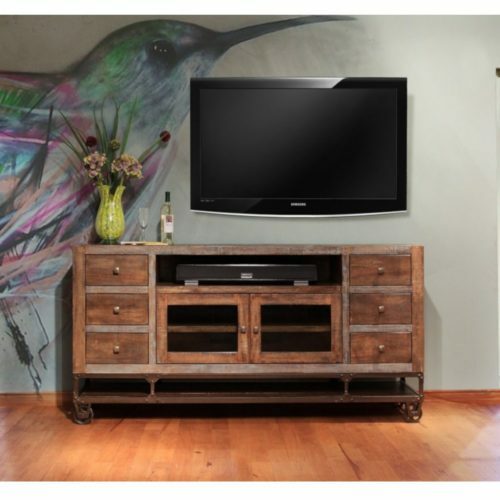 The Urban Gold TV Stand blends an industrial aged-look and rustic charm with modern appointments. 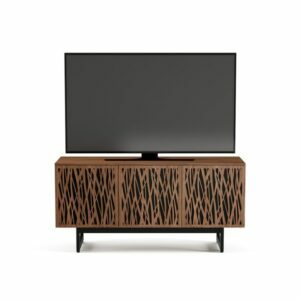 Crafted of select hardwood solids and veneers, each piece is then painstakingly finished to add a warm, antique feel. 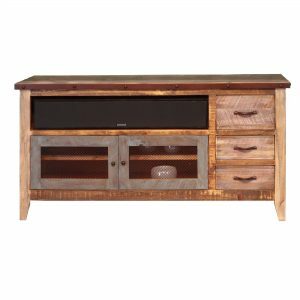 Industrial iron wheels and accents add a rugged retro touch. Storage drawers on ball bearing glides and fixed, open shelves bring smart functions that you can appreciate. Quality craftsmanship and vintage industrial styling define the Urban Gold Collection. 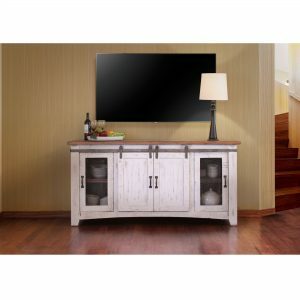 62" TV Stand holds most medium sized TVs.76" TV Stand holds large sized TVs. Fixed shelf behind glass doors two removable shelves one behind each wood door.